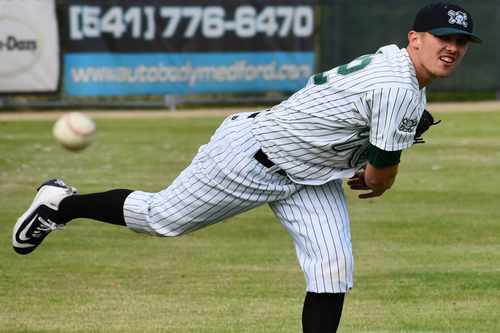 OCTOBER 4, 2018 - MEDFORD, OR: CSH International announced today the Medford Rogues, who competed last season in the Great West League, will pursue competitive playing options for the 2019 season in either a similar collegiate baseball league or potentially as an independent summer collegiate team. The announcement was made in conjunction with the league’s Board of Directors that the GWL will suspend operations for the 2019 season. "The decision was not an easy, but after deep consideration, evaluation and introspection, the Great West League Board of Directors have elected to suspend league operations for the upcoming season," said GWL Commissioner Ken Wilson. “While it is unfortunate that GWL will not return in 2019, we are extremely grateful to everyone who has invested their time, support, and made significant financial and emotional commitments to the league over the past three seasons. We are also grateful to the hundreds outstanding student athletes and dedicated coaches who have competed in the league, many of whom have gone on to professional careers and completed their degrees. No future comments will be made at the moment.